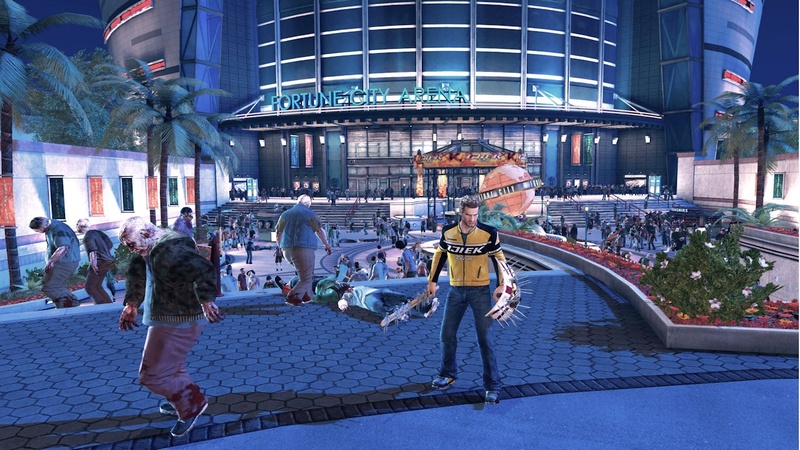 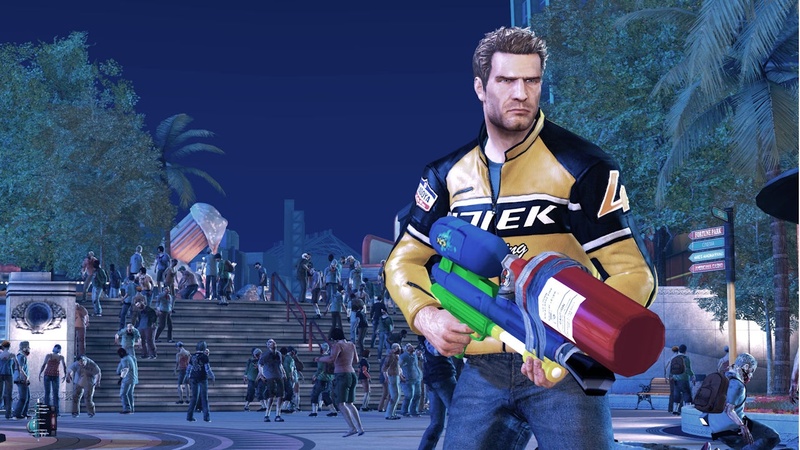 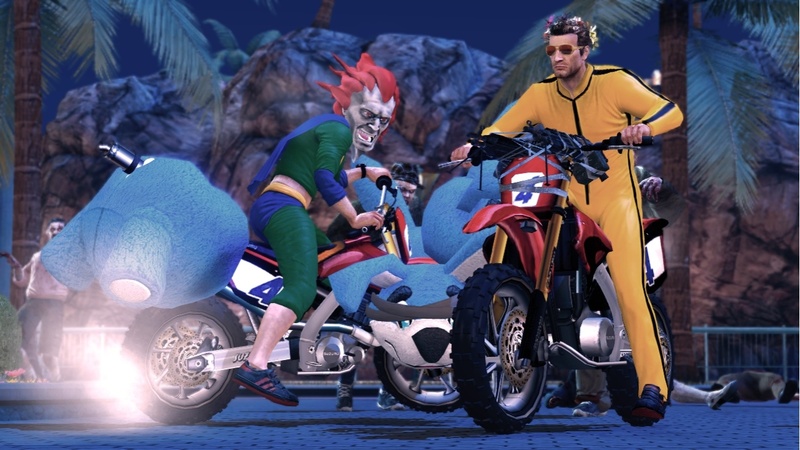 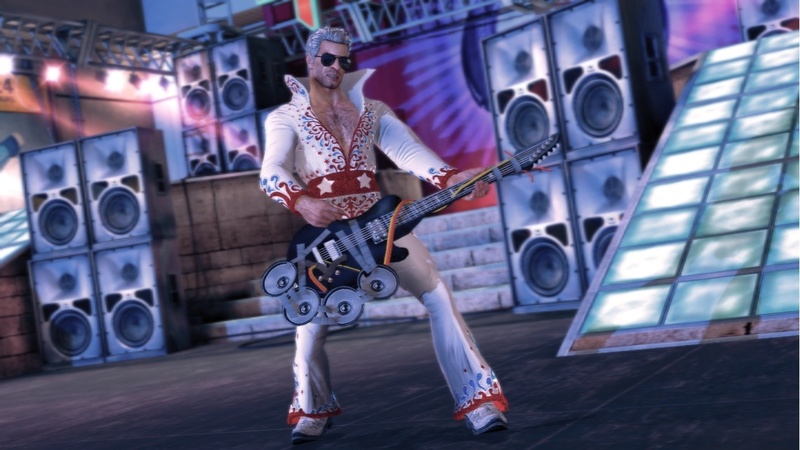 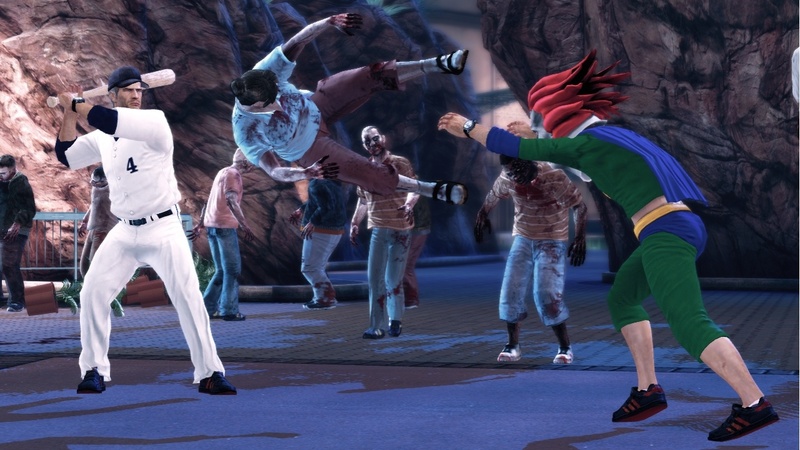 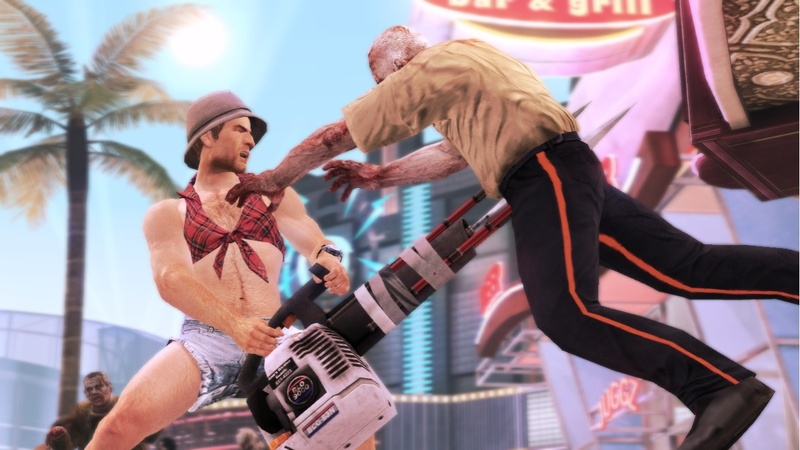 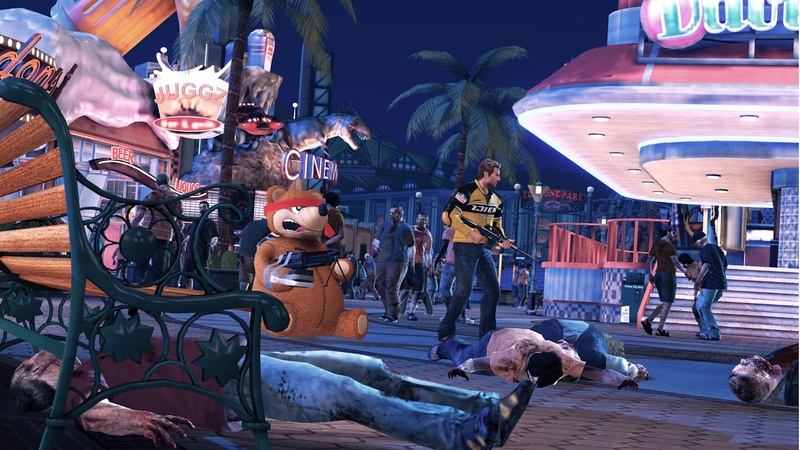 The latest batch of screenshots for the upcoming two player co-op Dead Rising 2 sure are interesting. 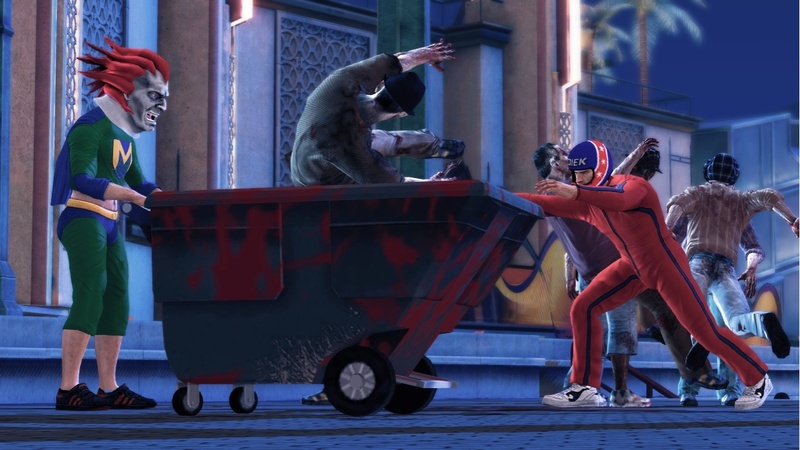 To say there's a variety to the visual style is an understatement. 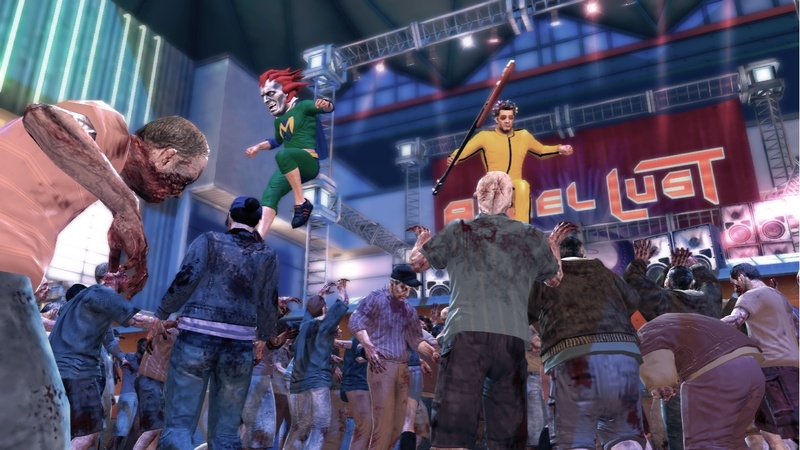 On one hand you have the menacing undead horde, ready to consume your brains at a moments notice. 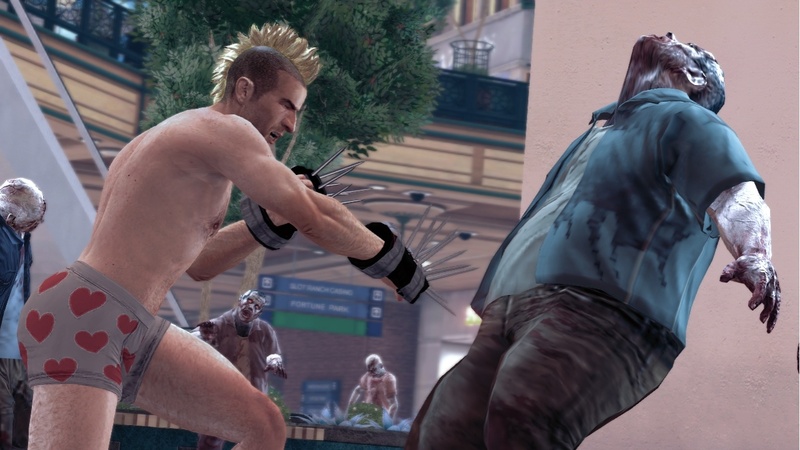 On the other hand you have a dude in heart covered underwear wearing brass knuckles with huge spikes on them. 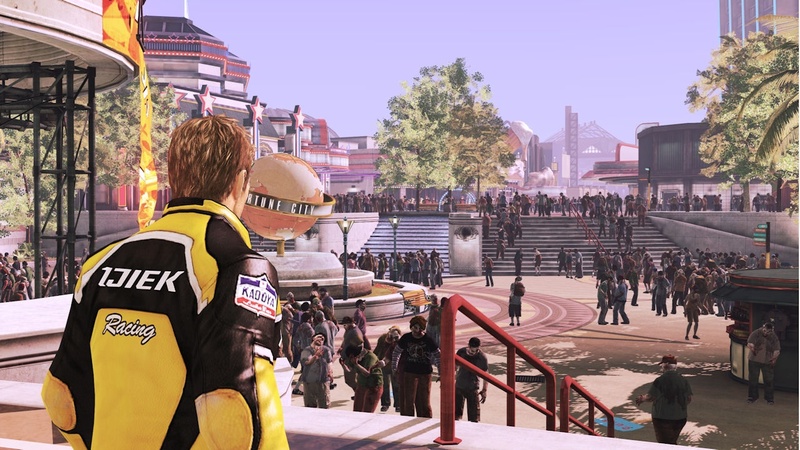 What else is there to gaze at? 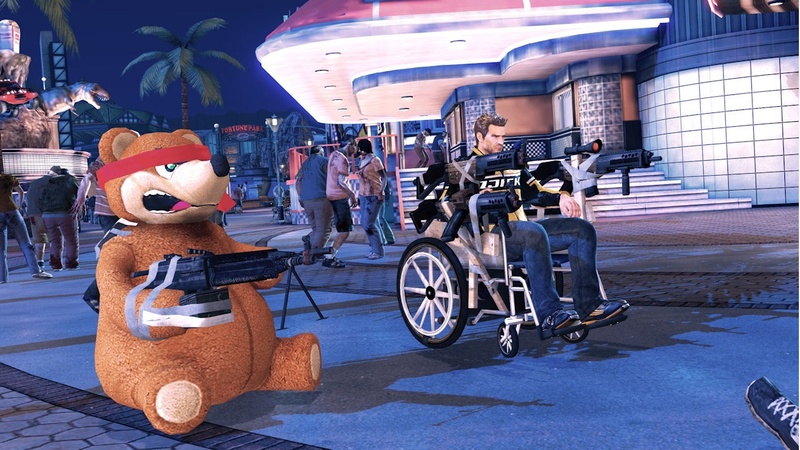 Besides a giant teddy bear with a machine gun you have a wheelchair duct taped with numerous fire arms, a guy in a freaky clown mask riding a motorcycle that looks like a giant bunny rabbit, and a man wearing daisy dukes and a tied flannel top using a leaf blower with pointy objects attached to kill a zombie. 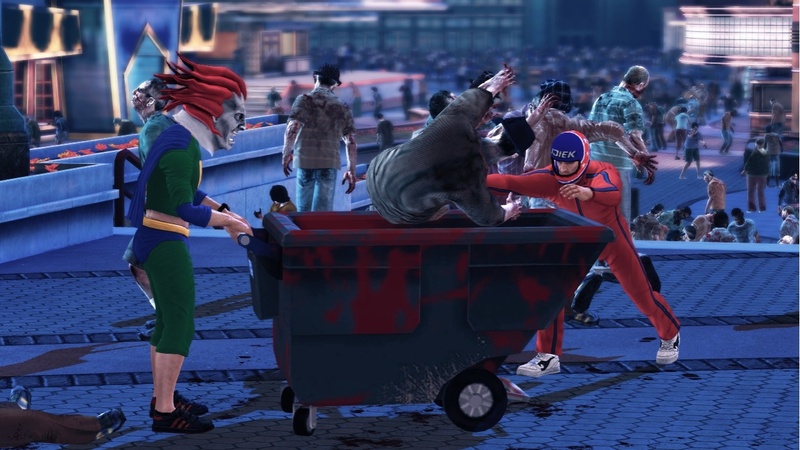 I think I need to go get more coffee, I don't think I'm awake. 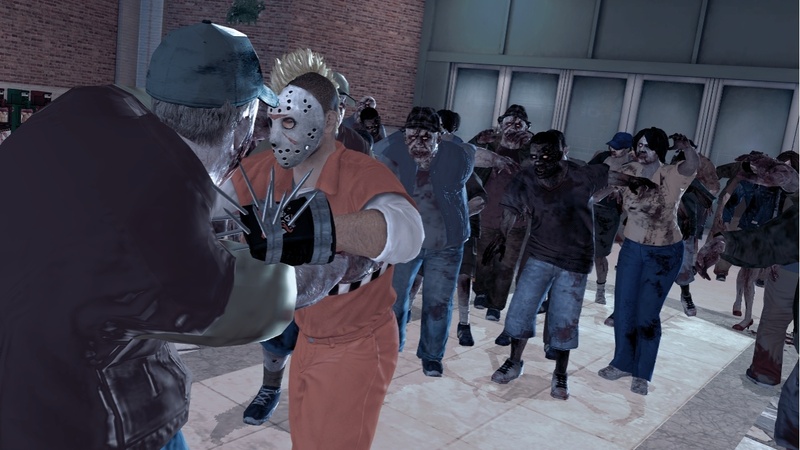 Page created in 0.2367 seconds.